St. John the Baptist Primary School works in partnership with families, the parish and the community. In our day to day life we try to put into practice our Catholic beliefs and come together regularly as a community to worship. Aspiring to Happiness & Achievement for all." 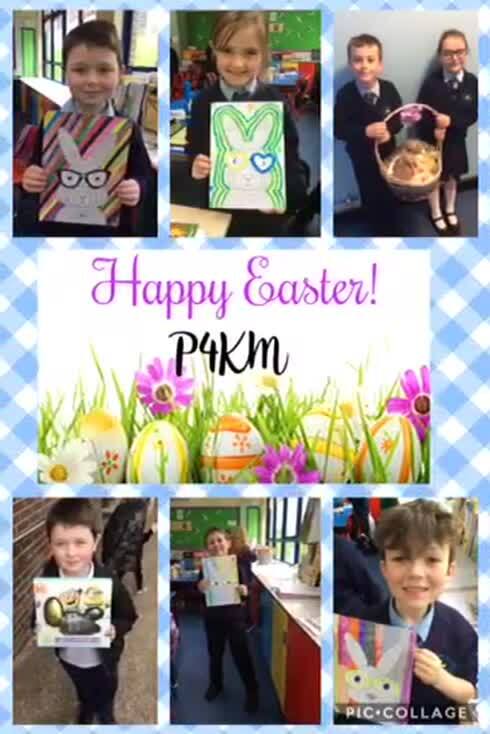 Happy Easter from P4. Have a safe, blessed and enjoyable Easter. P5 LMcC had great fun hunting for eggs in the adventure playground.